Heeft u een vraag voor Hiroshima Pacific Hotel? Tijdens uw bezoek aan Hiroshima zult u zich snel thuisvoelen in Hiroshima Pacific Hotel, dankzij de hoge kwaliteit en de goede service. Slechts 1.8 Km verwijderd van het stadscentrum, is dit een goede plek voor gasten om te genieten van de attracties en activiteiten in de stad. Niet minder uitzonderlijk is het feit dat veel attracties en monumenten in de buurt liggen, zoals Gallery G, Hiroshima Prefectural Kunstmuseum, Shukkeien tuin. 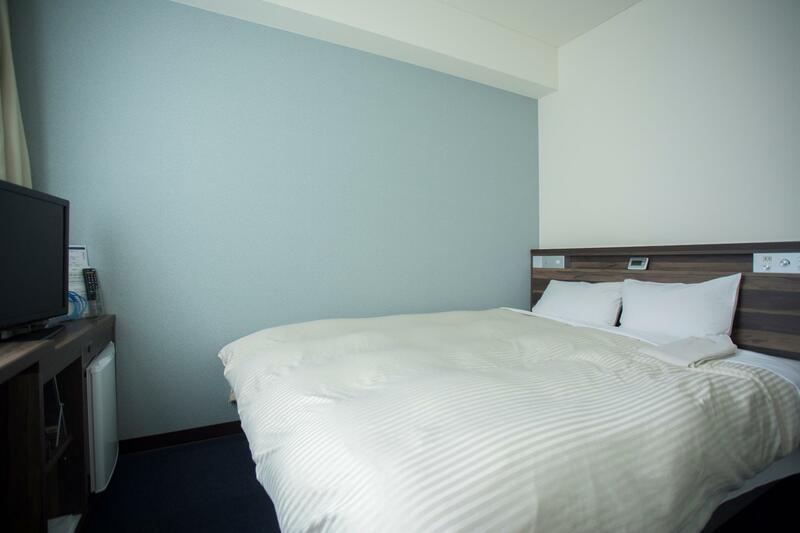 Hiroshima Pacific Hotel biedt gasten superieure services, plus een breed scala aan voorzieningen, en is toegewijd om uw verblijf zo comfortabel mogelijk te maken. Om gasten een maximaal comfort te garanderen biedt het hotel gratis wi-fi in alle kamers, dagelijkse schoonmaak, 24-uur receptie, faciliteiten voor mindervaliden, snel in- en uitchecken. Alle accommodaties beschikken over goeddoordachte voorzieningen om een ongeëvenaard gevoel van comfort te garanderen. De accommodatie biedt een uitstekende variëteit aan recreatieve voorzieningen, inclusief massage. Wat de reden van uw bezoek ook is, Hiroshima Pacific Hotel is een uitstekende keuze voor uw verblijf in Hiroshima. Het hotel is wat gedateerd en aan een renovatie toe. This is an excellent hotel. A bit of a distance from the train station but if you're travelling light with a love for strolling, this is just the perfect distance - not too far, not too close. The room is excellent comfortable and the staff is friendly. We spent another 15 minutes walking from here to the museum on a sunny day! 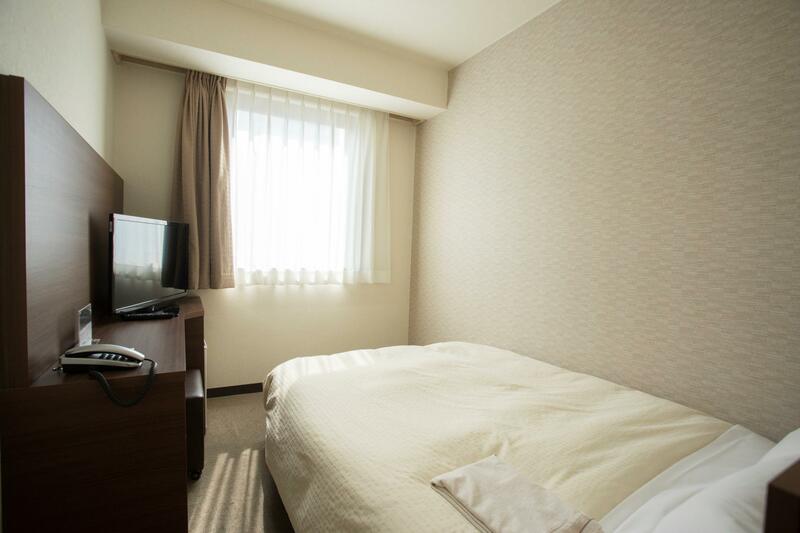 Hotel is 15 min walking or 1/2 bus stops from Hiroshima station, and less than 10 min walking to city center. Room facilities are a little old but work well, and staff were really nice. For the price I would recommend this hotel. It’s a pleasant stay. Receptionists are kind and polite. Fast check in and check out. Room is little bit small that’s why suitable for solo traveller. It’s a 20 min walk from the Hiroshima Station. Still manageable though. Excellent place to stay, great location, friendly helpful staff. Hotel room is so small that I cannot even walk across when the luggage is on the path. There is no room to place the luggage and I can only put the luggage at the end of the bed. Toilet facilities are old and consumables are low quality one. The location is in the middle of train station and those tourist attractions. It is not so convenient as expected. I shall never stay in this hotel again if I visit Hiroshima in future. great location, price, and clean. Pros: clean and tidy, staffs are helpful, got a mini fridge, well worth the price. Will stay again. Cons: The design of the hotel is slightly dated, and the double bed is pretty small. *the breakfast is a set meal (with slight variations every day) at the restaurant in the hotel. *the hotel is next to a small hospital/ clinic for those who are concerned. Only stayed one night but was struck by the value for money here - normally would pay at least twice as much for the double room we had for which we only paid 4500yen. The usual excellent and polite service from the staff too. so far it is good, not far from jr station but if you decided not to walk, you can take another train not operate by jr that has a station near to the hotel. also fair walking distance to the historic places such as hiroshima atomic bomb monuments, old castle and so on. The hotel is conveniently located in walkable distance to the castle and the Peace Park. A tram stop can be also found nearby. 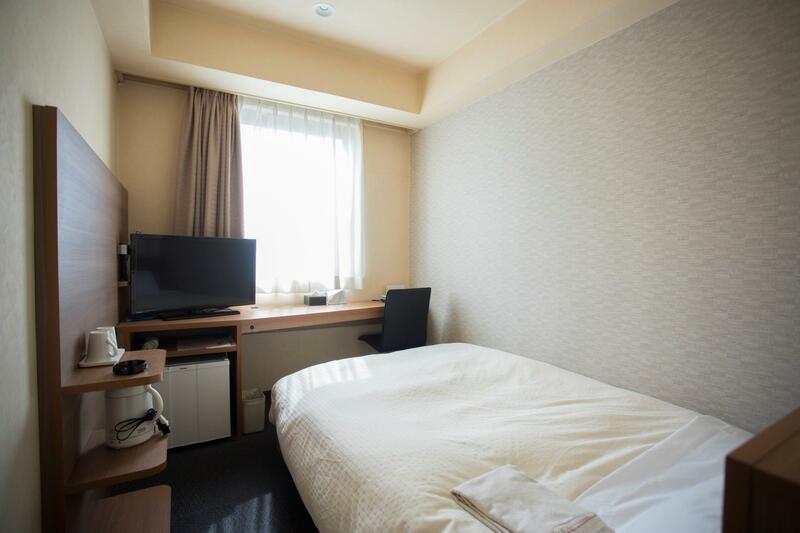 The rooms are quite small, but that's typical in Japan and you get what you pay for. The staff is very friendly and it is no problem to leave your luggage at the reception after checkout. The location is great! A bomb dome is maybe a 5-10 min walk, Hiroshima castle is just 2 blocks down and the covered mall is another 10 min walk. Super close to Hiroshima station which is nice! Will stay here again for sure! The staff here we very helpful, and the room was nice, comfortable and for the price, excellent quality. Glad I stayed here, was travelling a few extra days by myself after of a long group snow trip. It was peaceful, relaxed and everything I wanted to see was within walking distance. Overall very happy with this hotel. Comparatively it is quite good location and reasonable cost for foreign tourist to visit Hiroshima due to place of interest, such as War Heritage sites, are nearby.